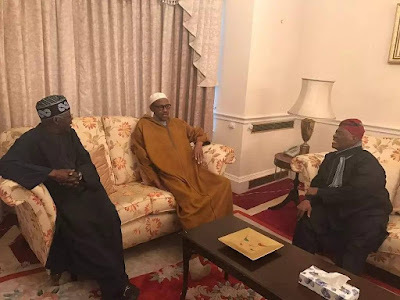 Chief Bisi Akande and chief Bola Tinubu paid president buhari a courtesy visit in London today Thursday, February 9th. There has been lots of debate about the presidents health in recent times. 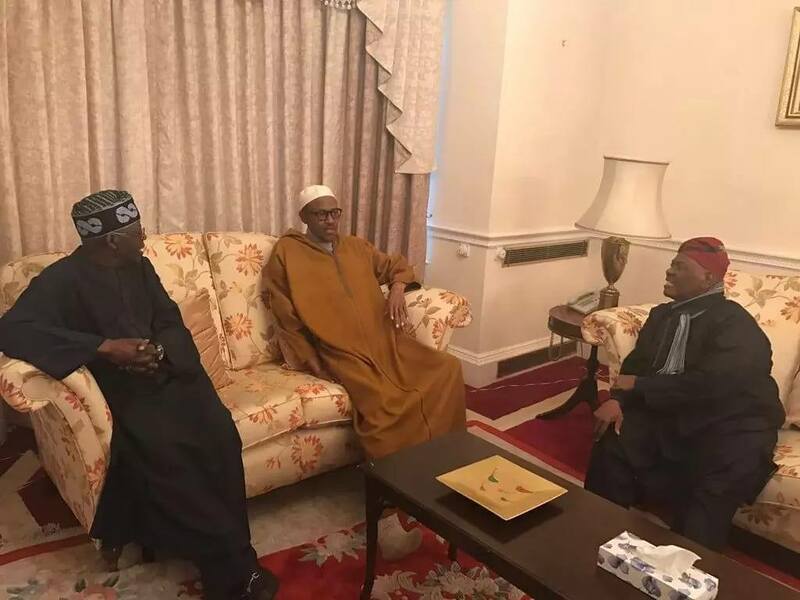 This is a confirmation that the president is very much alive and is doing fine.